Happy 4th night of Hanukkah and Shabbat Shalom if you follow Jewish customs. Even if you don't, hold on and don't click out. 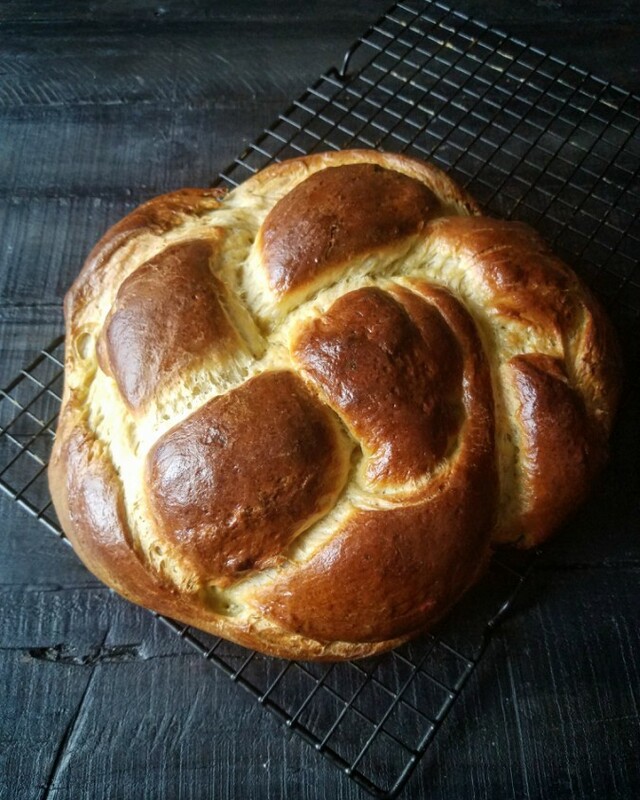 I'm here to share a great recipe for challah from Olga Massov, formerly Sassy Radish! I've not baked challah in at least 8 years, but have been thinking about it for quite some time. I hesitated because the last time I baked challah was slightly disastrous, messy, and the results were mediocre. Plus, most recipes make at least a few loaves. I live by myself--I don't need that much bread. And then.......Olga, yes, we have the same name, posted a few insta stories of baking challah, and I decided it was a great push/encouragement for me to do the same. 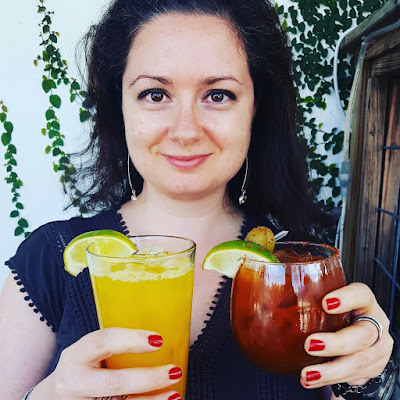 I used Olga's recipe and am soooo happy with the results! The recipe uses honey, orange juice, and olive oil. I was a little worried that the challah will taste too sweet. It did not! I was a little worried the dough will not rise. It did. I was a little worried I would end up not being impressed. I was impressed! I was impressed with the ease of the recipe, how gorgeous the final challah looked, and with the pride I felt in baking it at home! 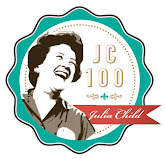 I highly recommend doing the 3rd rise of the challah overnight as Olga mentions. It was exciting going to bed at night and knowing that I'll be baking fresh bread in the morning. 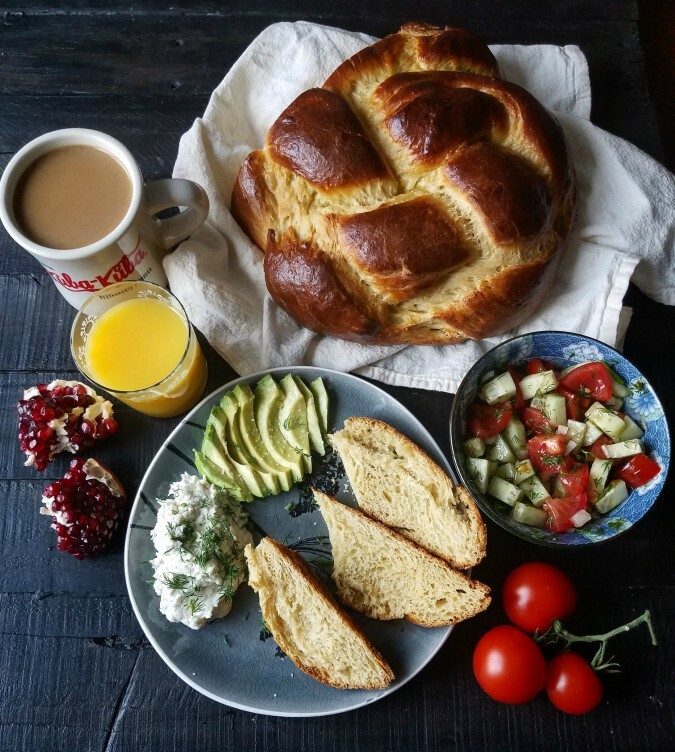 Once cooled, the challah went great with white fish salad, fresh orange juice, avocado and cucumber/tomato salad. You can have this brunch too if you just plan slightly ahead.